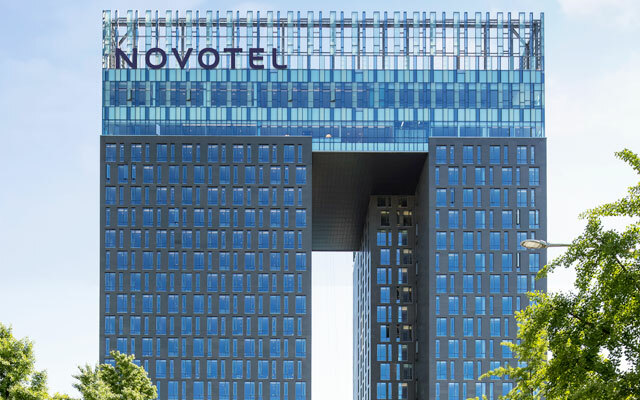 AccorHotels has opened Novotel Hotels & Residences, the brand’s first mixed-use development which combines a hotel and residences, in the heart of Seoul’s shopping district in South Korea. 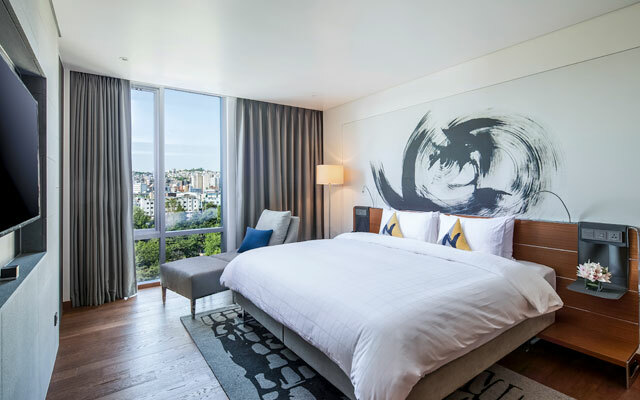 The Novotel Ambassador Seoul Dongdaemun features 331 rooms in double-, twin-, or triple-bed configurations. There are also 192 residences that are a mixture of studios and one-bedroom suites. All dwellings feature high-speed wireless Internet, 55-inch full HD television and one-touch temperature control. Services in the property have been enhanced with the use of digital technologies including a mobile concierge and a smart phone which guests can use freely during their stay. The phone is pre-loaded with hotel information, maps, as well as call and message functions. Guests can also scan QR codes assigned to each individual guest room and enjoy remote access to room controls and amenity service requests with the iStay app that can be downloaded to their own phone. A smart kiosk also provides guests with useful hotel information including facilities, and the latest F&B and room promotions. Amenities within the new-build include three F&B options, an indoor swimming pool on the 20th floor, fitness centre, an Executive Lounge, and a Kids’ Zone. Events planners can avail any of the four meeting spaces, ranging from the Grand Ballroom which can host up to 280 guests banquet-style, to the meeting room for smaller-sized functions for up to 20 pax. The new-build stands near major attractions such as Dongdaemun Design Plaza (DDP), Dongdaemun Fashion Street, and the Dongdaemun History and Culture Park Station on lines 2, 4 and 5 of the Seoul underground.